Demand for secure estate living in Hout Bay has risen sharply in recent years, precipitating a spike in development with estate homes now accounting for 20.24% of the property landscape with the launch of an exclusive new gated development on 26 November adding 20 more units to the existing 1250 estate homes. 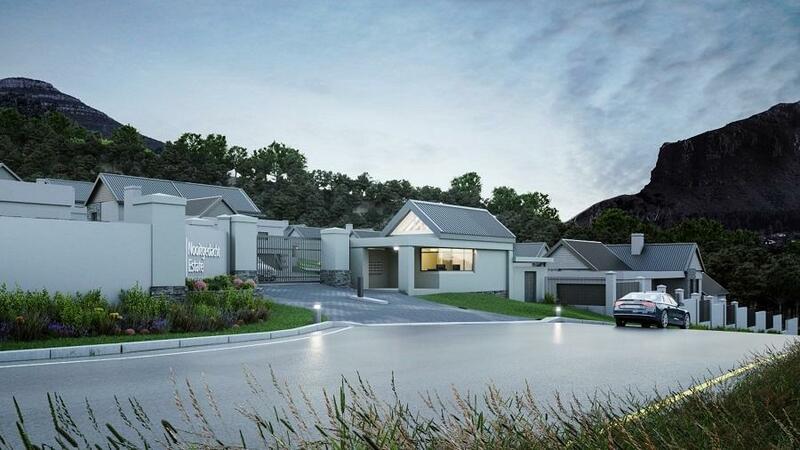 Developed by the award-winning Nova Group who”are responsible for two other sought after Hout bay estates, Villa de Legno and Avignon, Nooitgedacht comprises 20 stands from 946m² to 1400m² and investors have the choice of buying plots or plot-and-plan packages, with homes ranging between 340m² and 450m². According to Steyn, the estate has been thoughtfully designed specifically to both complement and harmonise with its indigenous fynbos setting utilising a modern interpretation of Cape vernacular architecture. Due to break ground in February next year, the services and foundations have already been laid, including provision for fibre connectivity and the significant advantage of three boreholes for communal use. Lew Geffen, Chairman of Lew Geffen Sotheby’s International Realty, says that the growing popularity of secure estate homes in Hout Bay is clearly evidenced by the most recent Lightstone report which reveals that during the last three months ending October 31, there were 34 registrations of new estate homes and 94 repeat sales with 20 being during the last three months. He adds that, in spite of the subdued market, property values in Hout Bay have been steadily increasing whilst the gap between asking and selling price has decreased during the last three years. Alan Williams, Co-Developer of Nooitgedacht, attributes Hout Bay’s increasing popularity to multiple unique appeal factors. Due to be launched off-plan on 26 November, prices start at R2.95m for plots and R7.4m for plot and plan, including VAT (no transfer duty).